Single small circle(s) flanking lower end of handle. 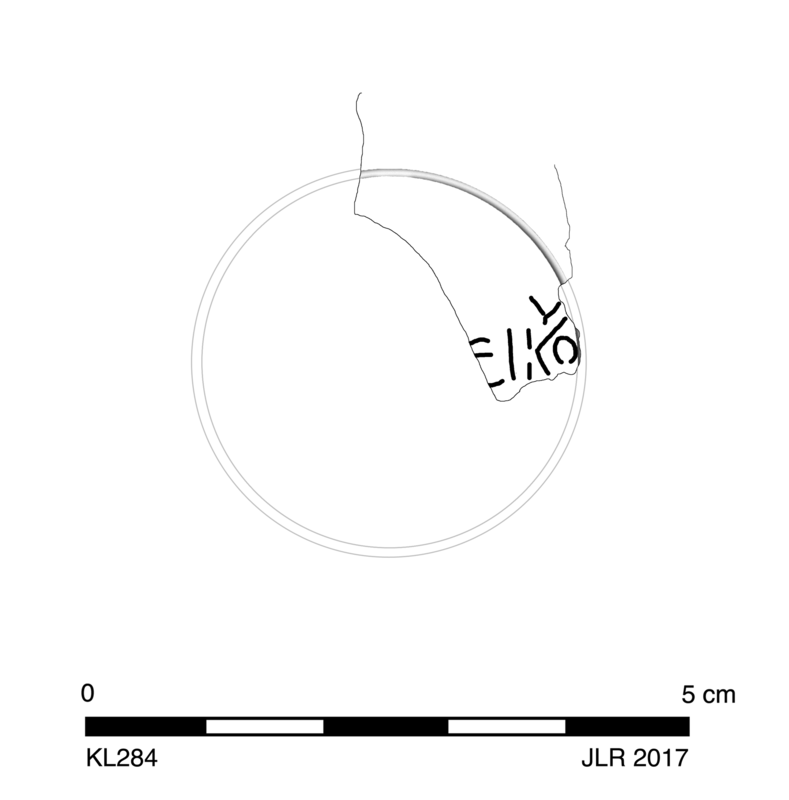 Flat, circular base has single groove around incuse signature: ΑΡΙϹΤΟΝ]ΕΙΚΟΥ (upsilon is above preceding omicron). Small clay nodules in signature. Early Roman Corinthian pale lamp fabric: very pale, fine. 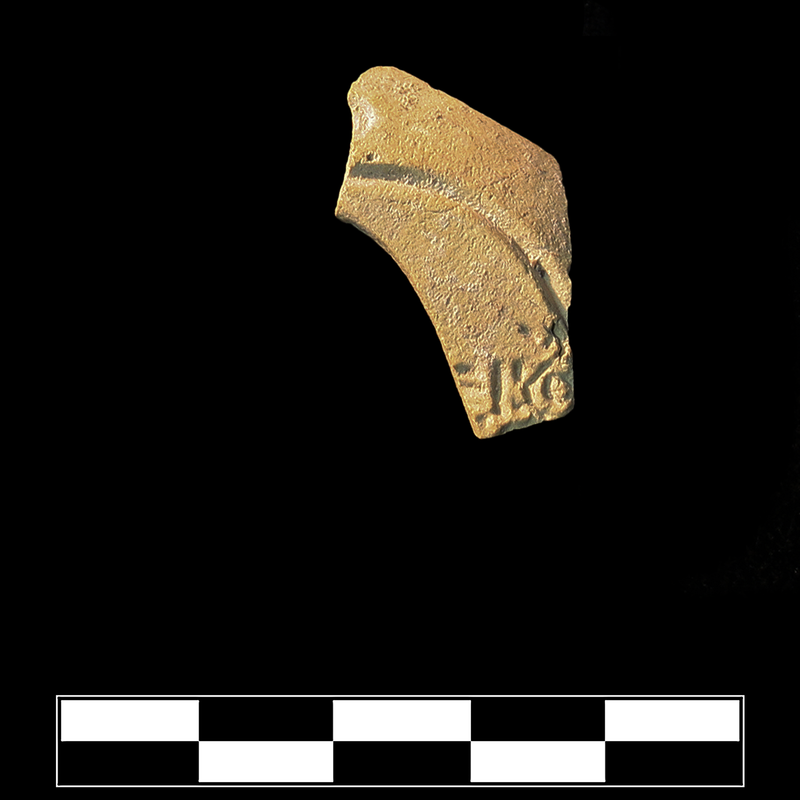 One sherd preserves small part of base with signature. Sparse specks of encrustation in grooves.